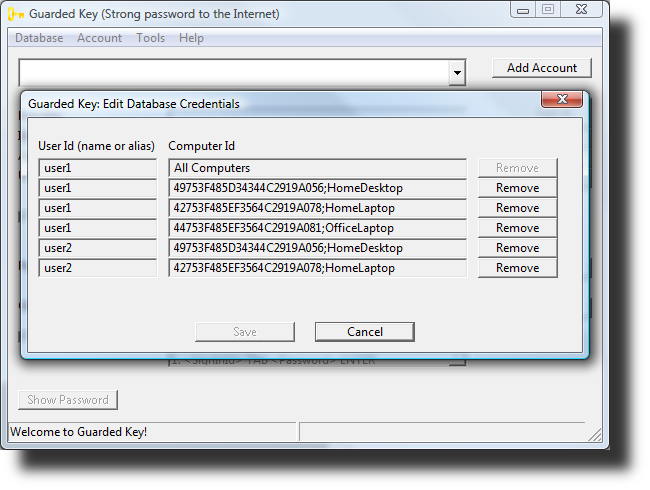 What can I do if I forgot my user id or password for signing into the encrypted Guarded Key database? Is it possible to recover/reset user id and password or restore my data into a new database? No. It is impossible to recover user id and password or access data in the database without knowing exact user id and password or encryption key. Remember your User Id and Password! This is the only thing you really need to remember. 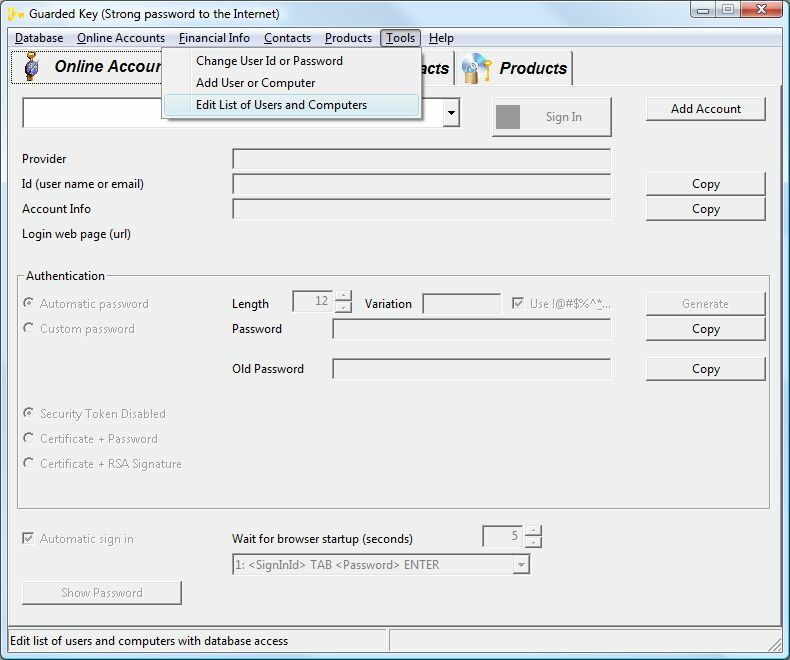 Change password of the administrator (username and password you used to initialize the database) - use at least 20 characters. Split your password to 2 or more parts and write down each part on a separate piece of paper. Hide first part somewhere in your house where only you can find it (use safe for example), store second part in a bank vault or give it to your laywer or somebody who you can trust and who would verify your identity before giving it back to you. Add new user into the database (you can use the same name as in step 1 and use password of standard length (recommended 8 - 12 characters) and remember it. This is the password that you will be using on daily basis. You will be promped for username and password. Use administrator's credentials and sign in. The application will show a dialog with list of users and computers. Here you can remove the record which represents your forgotten password. Save changes. Finally you can add new user id and password. This time remember it!